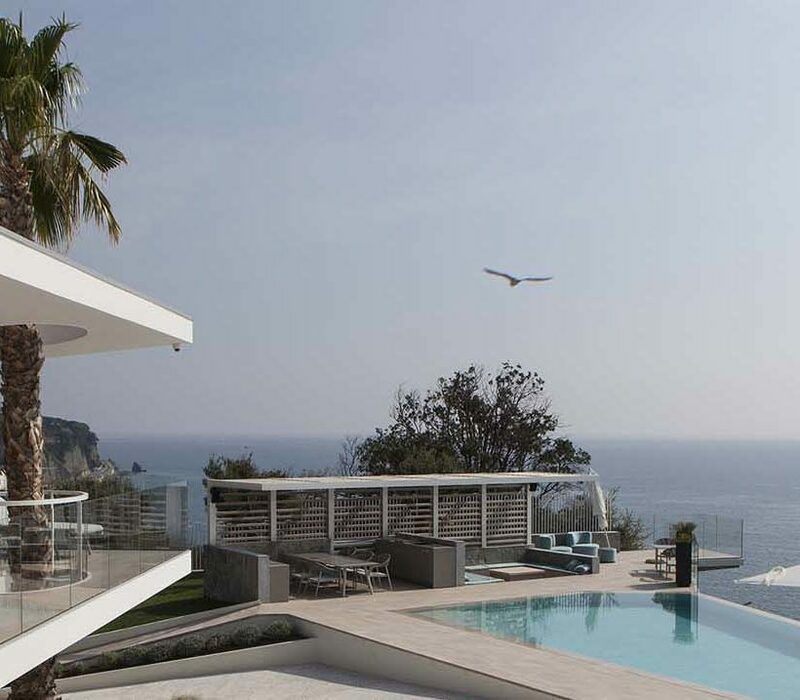 A resort on the Gulf of Savona, a context in which pale concrete and natural stone bring luminosity and freshness. The Synua security model by the leading company Oikos Venezia has been selected to protect the spaces. 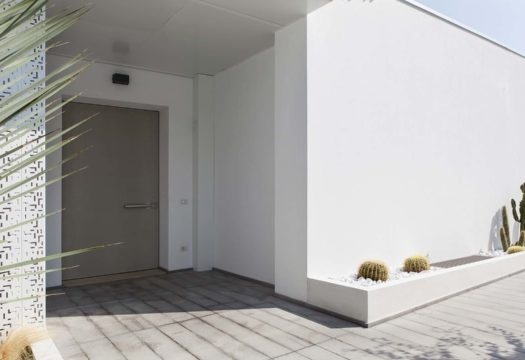 A versatile security door that offers a choice of different facings, opening vertically, with coplanar installation, with optional (armored) panels and very high levels of performance. 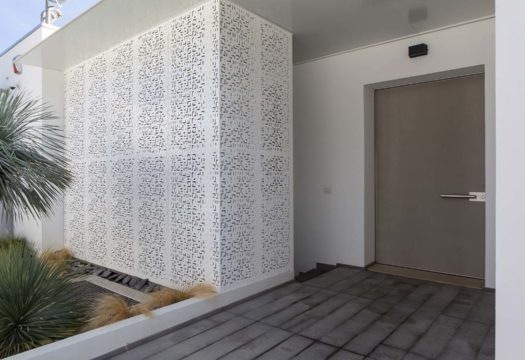 The door also comes in a thermal break version and guarantees class 3 performance against burglary, thermal insulation U = 1, flame resistance EI 60 / EI 120, acoustic insulation 38 dB, and air, water and wind resistance of up to 4.5A and C5. 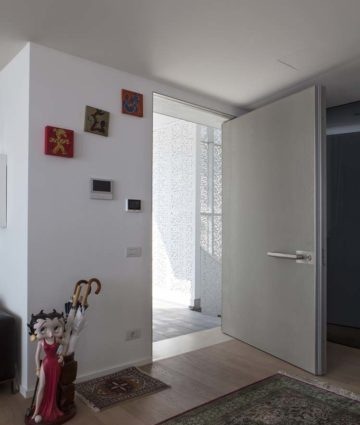 In the photos, Synua with single-panel facing from the Venezia Materia monolithic line, in pale smooth cement, with aluminium border and short horizontal handle in steel.